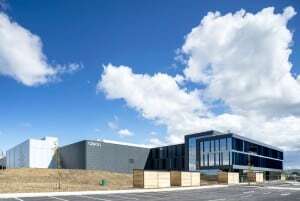 The GRIFOLS logistics centre, located in Grange Castle Business Park in west Dublin, is a highly specified building that will store and process plasma products for medical use. Built by Stewart over a 15-month period, construction included the installation of specialised cold rooms and automated packaging lines, as well as a three-storey administration block. In charge of the project was Stewart Regional Manager Roy Pickford. 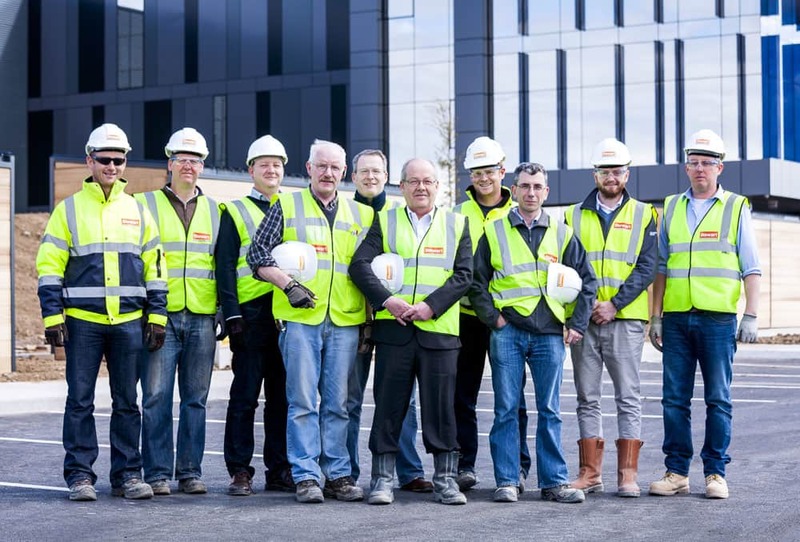 As one of Stewart’s largest projects to date, Roy took a CIF delegation on a site tour, where he mentioned that the 15-month completion time was a notable achievement considering the complexity of the project. Andrew O’Connell, GRIFOLS Managing Director, is on record as saying the Stewart team “were prepared to be very flexible” in responding to client requirements. 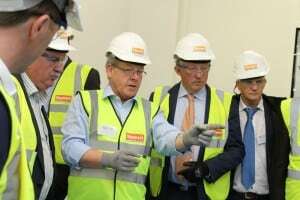 He mentioned Stewart’s ability to identify specialist subcontractors as being crucial to the project’s success. The 230,000 sq. ft. plant boats a number of specialist features such as the sophisticated ASRS (Automated Storage & Retrieval System) to assist in the storage and retrieval of products in the freezer and chilled high-bay cold-rooms. Stewart commenced on the project in early 2014, employing over 500 construction workers on the site. According to Roy, the project has identified Stewart “to the market” as a leading contractor capable of delivering a complex project with the most demanding requirements. The pharmaceutical industry has been a key area for economic growth and recovery in Ireland and one of the most important contributions that the pharmaceutical industry makes is the direct employment of 25,000 people in the manufacturing sector and at least another 25,000 people indirectly employed in serving the sector to include the construction of new facilities.